Soccer sports camps in Medford, Suffolk County, NY & year round Soccer clinics and recreation are provided by the United Soccer Academy (USA). 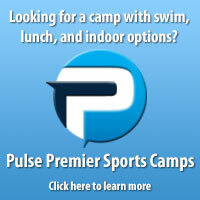 Medford Summer camps and sports classes are designed for all ability levels and players aged 3-14. For more information or to register for soccer camps in the area please click on the following search which represents our current Medford, NY summer camp & sports class offerings.